Welcome! This site is mainly to serve as a guide for anyone who has acquired their first rats or is thinking about getting rats. I have tried to gear the information here toward new rat owners and their concerns and am keeping the information basic. (No detailed health or breeding information.) 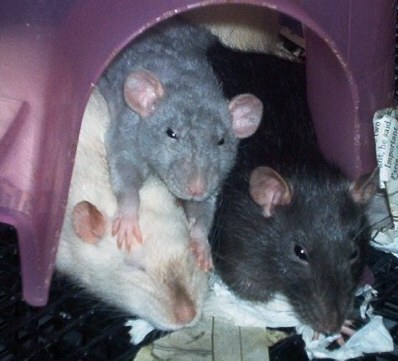 My other site, Curiosity Rats, is more in depth and is partly/mostly about my rats and breeding projects. My name is Vickie, and my many rats will help guide you through this site. Any questions? Please email me.